Although the SRX shares GM’s Theta platform with the GMC Terrain and Chevy Equinox, you’d be hard pressed to guess its pedestrian derivation. In fact you’d be more likely to assume that this petite Cadillac shares its underpinnings with a Lexus RX350, an Infiniti EX35, or even a BMW X5. 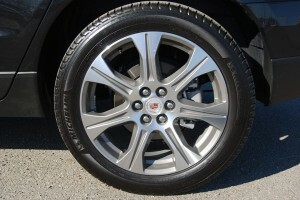 GM has done a remarkable job of investing this entry-level Cadillac sports utility with all the finery you’d expect from a luxury maker, at a price ($52,550) that seems reasonable given its many attributes. 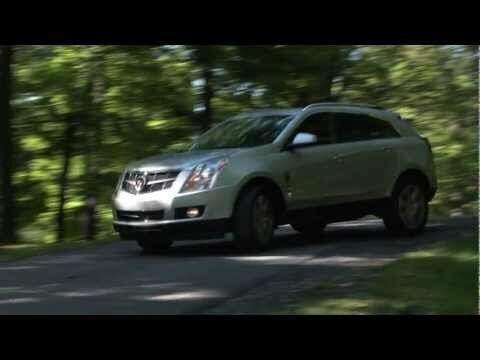 For starters, the SRX boats a new 3.6 liter V6 for 2012. 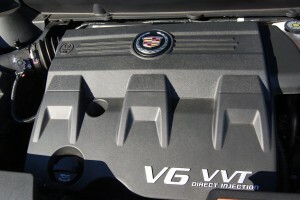 Compared to last year’s standard 265hp 3.0 V6, the new 308hp LFX engine ignites the all-wheel-drive system with enough spark to allow GM to eliminate last year’s optional 300hp turbo engine. Gear ratios chosen for the standard 6-speed automatic gearbox keep the new V6 happily spinning in its torquey (265lb.-ft.) power band, without need for resorting to downshift intervention. If, however, you do need to select a specific gear for towing or maximum acceleration, the console-mounted stick allows you to do so with a simple series of taps. 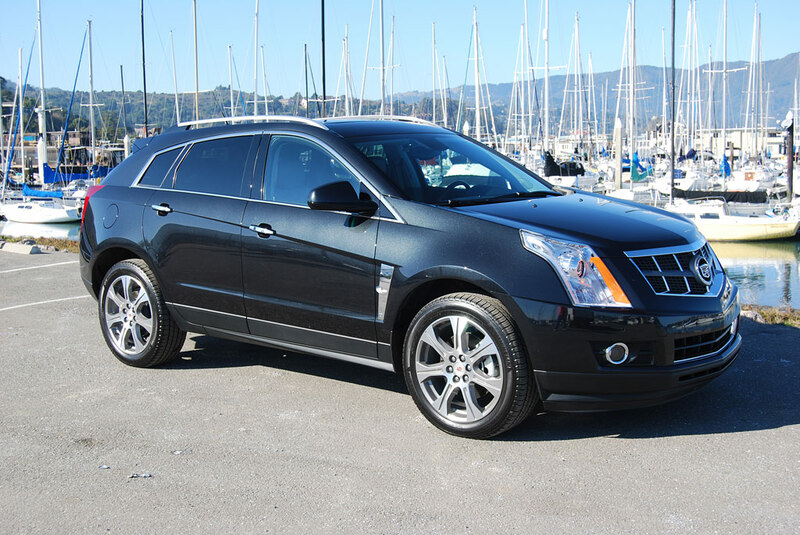 With its 21 gallon fuel tank and 3,500 pound tow capacity, the SRX is well configured for long distance travel chores. A newly retuned sport suspension system keeps all four driving wheels in contact with the pavement better than before. The fat, 20 inch diameter Michelin Latitude Tour HP tires now measure 255/35/R20, and provide plenty of traction and sidebite, especially in sloppy wet conditions. Yet ride quality doesn’t suffer from the new found grip. That’s because the cabin of the SRX is isolated from road surface irregularities, and buffered by excellent sound damping, plush seating, and inconspicuous shock absorption. In other words, the SRX provides the comfort level you’d expect from a Cadillac, with a number of included niceties unexpected at this price point. For example, a Navigation System with an 8 inch touchscreen is standard fare. GM provides you with a free 1 year membership in OnStar, which includes automatic crash response, and turn-by-turn navigational instructions. In addition, OnStar checks the mechanical health of your SRX and periodically sends you e-mail updates concerning oil change intervals and the like. By pushing the blue OnStar button on the overhead control panel, you can initiate a full system check at will.